Russian formations -these are valid for the mid-2000s after the big reorganizations that happened in the 1990s. If someone has access to more up-to-date organizations, please share. pgs51-56 have some brigade personnel number charts and text descriptions of Russia's reorganization post-2008 (the war with Georgia). Regarding Chinese TOE.....their military is constantly evolving. I've kept a pretty close eye on them (partly out of professional interest) and I can't keep track of how their brigades are structured half the time. The latest is their transition to "combined arms brigades", which is about 4 infantry battalions with a lot of supporting assets. They also maintain a small force of VERY large and robustly-equipped tank/mechanized divisions that don't seem to be downsizing to the brigade model. Lemme see what I can dig up from my bookmarks later.... Previously they were organized on the Russian/Soviet model so that's a decent stand-in in the absence of better information. I can't seem to find any reliable company level TO&E for other Russian and Chinese formations, so for them it might just be best to use the equivalent NATO ones. Steve, is the stuff I've made useful or would you like it to be in a different layout or format? Would it help if I made a list of currently active brigade level formations around the world? Or is there something else we can do to help with this part of the project? I think what you have is fine. Once I start creating real world ground templates I will begin getting into this in more detail. At work I have been doing some coding using JSON files to read complex hand histories for poker hands into a C# structure (which has been fun because in my job I don't get to be hands-on as often as I would like). This might be a good format for the type of open-ended constructs that ground formations entail. I could come up with a suitable JSON file format that players can create and Aurora can read straight into unit classes and formation templates. You don't want one guy carrying the only 2 barrels you've got anyway. It's one thing if you've got only 1, in which case the risk of point failure is impossible to avoid, but if you've got two? Better to have 2 guys split the ammo between them and each carry a barrel instead of losing one to enemy action or an accident and have a useless gun. Doesn't your mate carry two barrels for the Browning? It's the Israeli knock-off but you get the idea. Especially as these formations are Generic NATO/Western ones. The point is that the vehicle is not armed with the mortar, hence why I'm using infantry: light bombardment instead. Chinese formations - note that this is what little is know of the new PLAGF brigade model. It seems that both Russians and Chinese are adopting the NATO model, though they are few steps behind. Just because 60mm mortars get a humvee assigned to the squad handling them doesn't mean the mortar is towed. More likely it's to provide the squad with some extra munition and mobility. After all, the mortar's big and heavy on its own, but the mortar shells themselves appear to start at several kilograms of weight each. A 4 or 5 member mortar squad won't exactly be lugging a lot of munitions around by themselves as a result. Easier if you can stash, say, 5 dozen in the back of a lightly armoured vehicle while the rest of the squad hauls a dozen or so between them. If they have to carry it all themselves they'd be lucky to have as flak vest and pistols for their own protection because taking a rifle with munition would be too heavy with the shells. Well, you better tell that to the US Army then, because the official TO&E for a Recon Company assigns a Humvee to the mortar squad. But seriously, yes a 60mm mortar is man-portable, just like an 81mm mortar is, and a .50 cal / 12.7mm machine gun is or a SPIKE ATGM or an Igla or many other weapon systems. Man-portable in this context means that you can deploy and transport the weapon short distances by muscle power. It doesn't mean that the weapon is so light that it requires no other transportation methods. 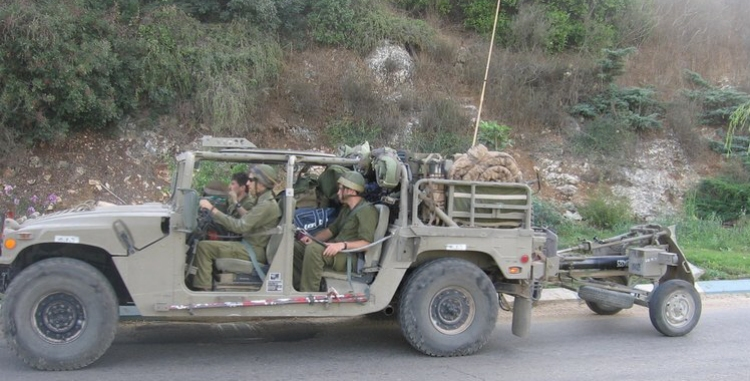 Outside of special circumstances, all modern militaries use vehicles for transportation as much as possible. It makes operational mobility far better and saves stamina for actual combat situations. I agree... I also think that the new combat model completely abstract things such as trucks or other non armoured means of transportation. I don't think a Static Heavy artillery is bolted to the ground and immovable. The size and cost of units also include basic transportation... which also goes for tanks and other armoured vehicles. You don't drive tanks to theatres of operations and planets tend to be pretty big places. If anyone wants some 20th century layouts for fun/role-play value, http://www.niehorster.org/000_admin/000oob.htm has some great information on a variety of countries, though it is a little hard to navigate around. Might be useful, I intend to make my next game WWII themed, I don't know how historically accurate I will go though.